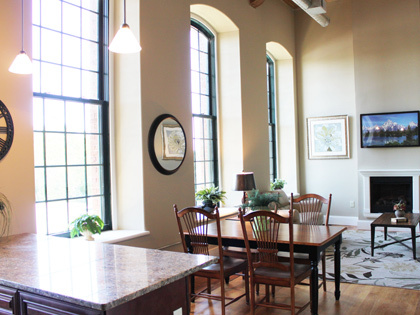 Built from 1872-1874, the Anthony Mill in Coventry is one of the most architecturally elaborate mills in the state of Rhode Island. 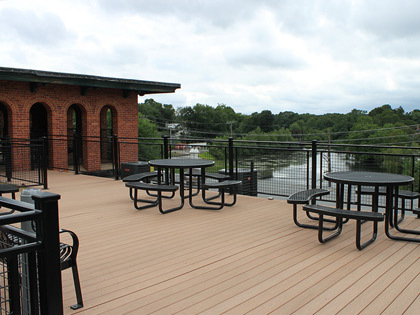 Situated on the banks of the Pawtuxet River, the mill was transformed into a loft community made up of 122 units with easy access to the East Coast Greenway canoe launch and walking, biking, and jogging trails. The site design included breaking up the large swaths of impervious area on the site with new pedestrian walkways, attractive landscape features, and site lighting.